I would like to officially announce to the readers of this fine blog that I have written and published my first book! First things first, it is called 'Telluria' and is the first book of a small series. Or at least at the moment, I think it will be a small series. George RR Martin also thought the 'Song of Ice and Fire' was going to be a trilogy at one point and look at how well that turned out. You might be wondering at this point, what is 'Telluria' about in the first place? Keep reading for a brief synopsis. "The earth was on the brink of a futuristic utopia when a new and deadly disease threatened to wipe out humanity. Telluria slowly dissolved its victims into one of the four primordial elements of water, fire, earth or wind. Terra was a child when her parents caught Telluria. The corporation New Atlantis developed a cure and distributed it for free just in time, saving her parents and the world from extinction. 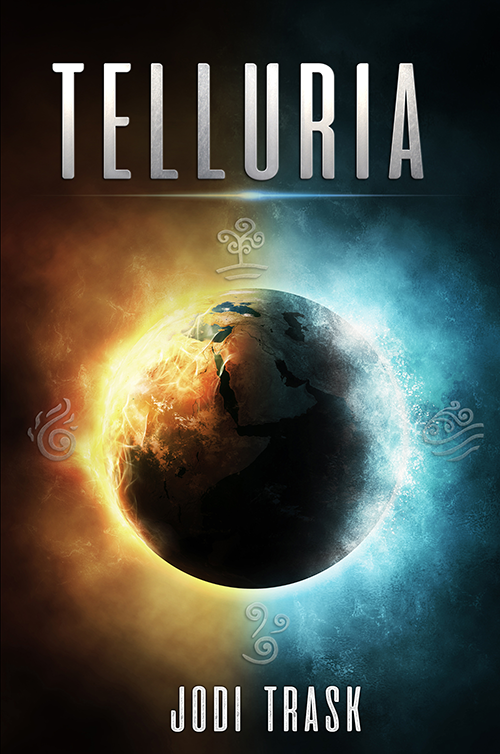 The world was just beginning to rebuild when Terra caught Telluria herself. She planned to simply go get the cure, but when her best friend Grey is killed by New Atlantis officials for trying to warn her against it, Terra is on the run for her life and the truth." If you are interested in reading further, you can read the first two chapters for free here.